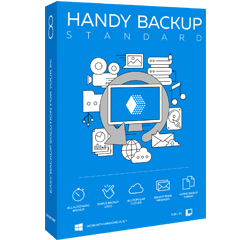 Handy Backup™ Standard is an easy to use and reliable backup solution with a rich set of features and well-thought user interface. The program is known as one of the best backup software for home and SoHo PCs. Buy 2 for $78 $66! Manage your backup data via the classic-looking interface, requiring no special skills for using the software. Variety of plug-ins automating backup of apps and databases. Backup data using WebDAV protocol. Appreciate a comfort with Handy Backup Standard Solution, creating and performing all the backup task types you need. Backup with timestamps. See time stamp backup. Try the power of Handy Backup freely at a trial period of 30 days just now! I’ve been using Handy Backup for years, and I like this software because it allows me to backup to native file format, and if I want to secure certain files and folder backups, I can compress and encrypt them easily. In my experience the program was also very stable compared to the others I tested. I like Handy Backup because it has a simple interface and it is easy to recover individual files from the backup set. Handy Backup™ Standard is an easy-to-use backup software designed to perform automated backup of your computer. User-friendly interface and a rich set of backup features make it one of the best PC backup software for home and small office use. 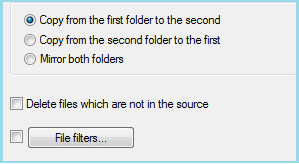 Handy Backup Standard features selective data backup (back up folders and individual files with file mask filtering, e.g. back up only photos, music files, videos, etc. ), multiple plug-ins for easy backup of Outlook, Documents, registry, etc., wide range of supported storage media, compression, encryption, verification and flexible backup scheduling.